DP World, one of the world's largest port operators, has registered a 14.4 per cent growth in its revenue for the first half which soared to $2.62 billion from last year's $2.29 billion, ably supported by the volume growth across all three regions and the impact of new acquisitions including Drydocks World (Drydocks), Dubai Maritime City (DMC) and Cosmos Agencia Marítima (CAM). Announcing the results for the six months to June 30, 2018, DP World said on a like-for-like basis, the revenue grew 3 per cent driven by a 4.6 per cent increase in total containerized revenue. The adjusted ebitda increased by 4.2 per cent with adjusted ebitda margin of 54.4 per cent, and attributable earnings to owners of the company increased up by 5.2 per cent, reflecting the stable trading environment, it stated. The adjusted ebitda margin was put at 50.3 per cent, delivering profit attributable to owners of the company, before separately disclosed items, of $593 million and EPS of 71.5 US cents. The profit for the period attributable to owners of the company dropped 2.1 per cent on a reported basis but grew 5.2 per cent on a like-for-like basis, it added. The global marine terminal operator said the profit declined due to the deconsolidation of Doraleh (Djibouti) and consolidation of DP World Santos (Brazil), which remains in ramp up stage. On the results, Group Chairman and CEO Sultan Ahmed Bin Sulayem said: "DP World is pleased to report like-for-like earnings growth of 5.2 per cent in the first half of 2018 and attributable earnings of $593 million. Adjusted ebitda grew 7.9 per cent to $1.32 billion with margins at 50.3 per cent on a reported basis and 54.4 per cent on a like-for-like basis." "This robust performance has been delivered in an uncertain trade environment, once again highlighting our operational excellence and the resilience of our portfolio," he stated. Bin Sulayem pointed out that DP World had made good progress in delivering the group's strategy of strengthening its portfolio of complementary and port-related business with approximately $1.4 billion worth of acquisitions announced recently. 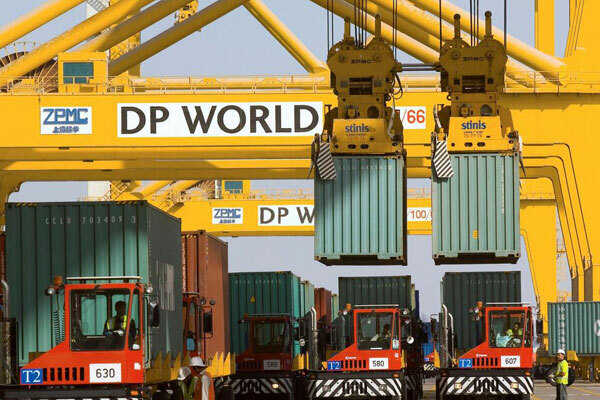 "These acquisitions offer strong growth opportunities and enhance DP World’s presence in the global supply chain as we continue to diversify our revenue base and look at opportunities to connect directly with the owners of cargo and aggregators of demand," he noted. He said the Emirati group's balance sheet remained strong and continued to generate high levels of cash flow, thus giving it ability to invest in the future growth of its current portfolio, and the flexibility to make new investments. "Going forward, we aim to integrate our new acquisitions and we continue to extend our core business into port-related, maritime, transportation and logistics sectors with the objective of removing inefficiencies in global trade, improving the quality of our earnings and driving returns," noted Bin Sulayem.